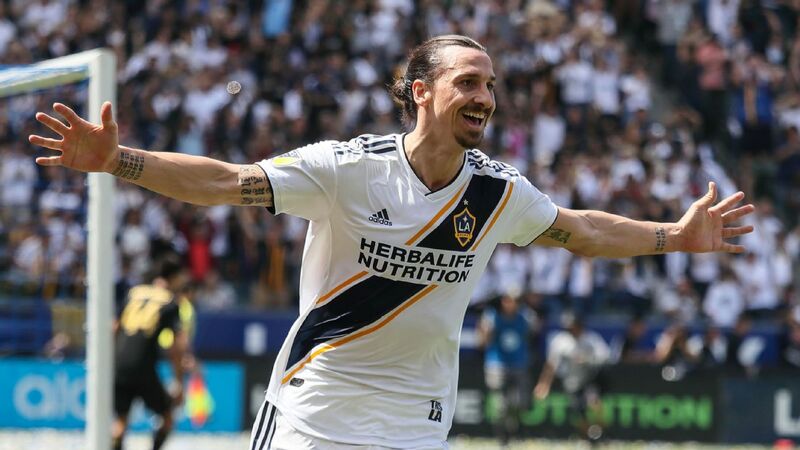 Three thoughts from the wild 2-2 draw between Los Angeles FC and the LA Galaxy on Thursday night. 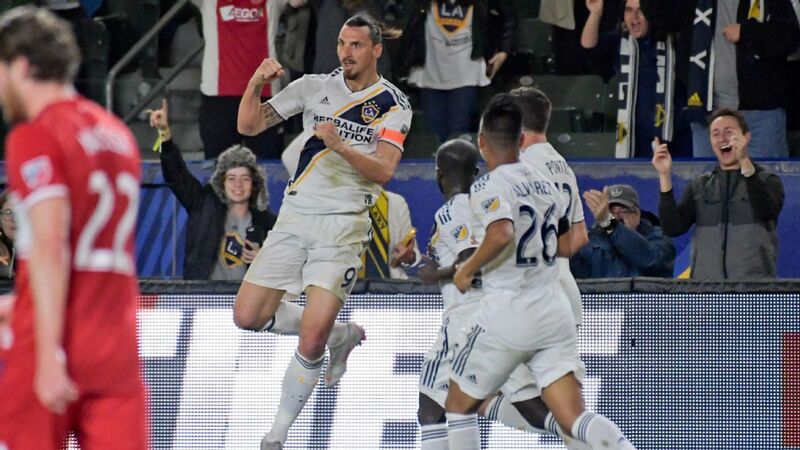 For the past four months or so, LAFC has had to endure the lasting images of Zlatan Ibrahimovic's heroics from the first "El Trafico." For the first 80 minutes of this one, it looked like that all would be put to bed. 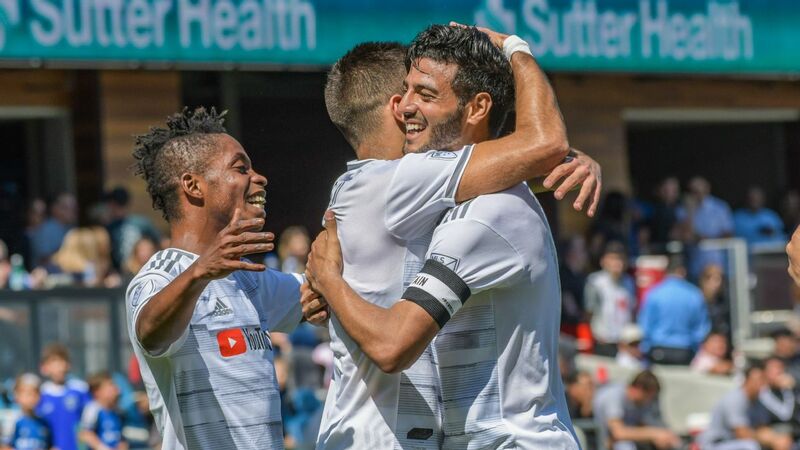 But the ghosts of March 31 came floating back with goals from Romain Alessandrini and Ola Kamara, and somehow the Galaxy departed Banc of California Stadium with a point when LAFC should have strolled to three. Up until the collapse, the performance from Bob Bradley's team in front of the home fans was very good. 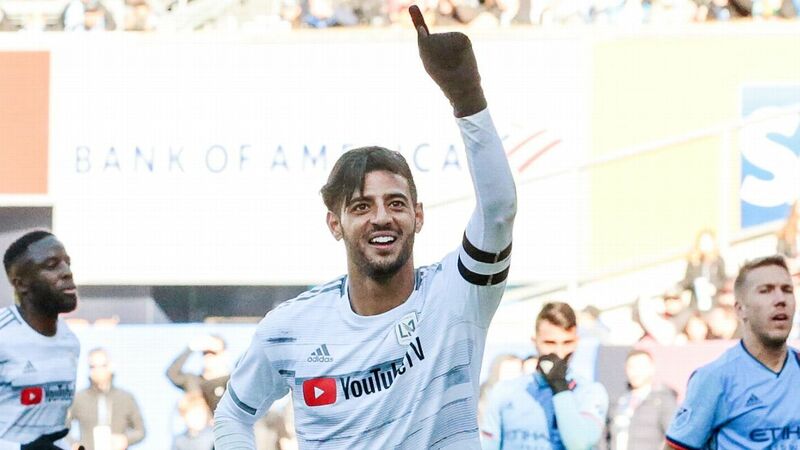 Carlos Vela was his usual dangerous self and worked his way past a trio of Galaxy defenders to nod home the first goal thanks to some good work -- and aided by some atrocious Galaxy defending -- from Adama Diomande, who was unlucky not to score a goal for himself in the second half. Latif Blessing was a headache all night long for the Galaxy defense, but it was the LAFC midfield that set the tone in the first half. 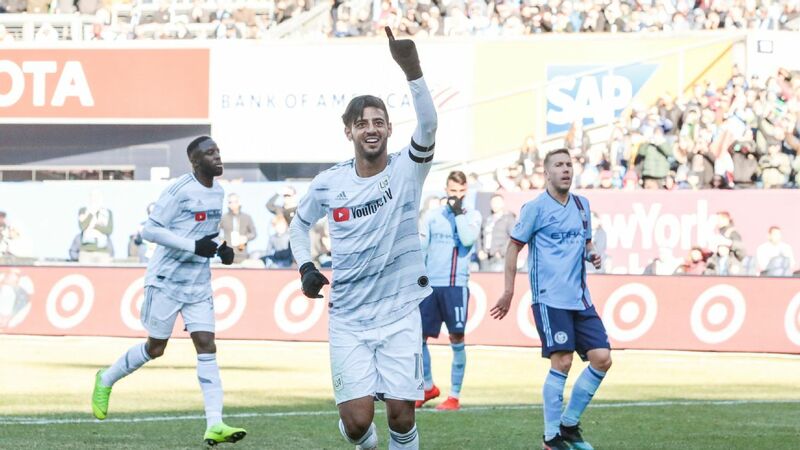 Benny Feilhaber and Lee Nguyen were able to work their magic, with the latter striking an inch-perfect free kick that topped his donut shot from earlier in the week. 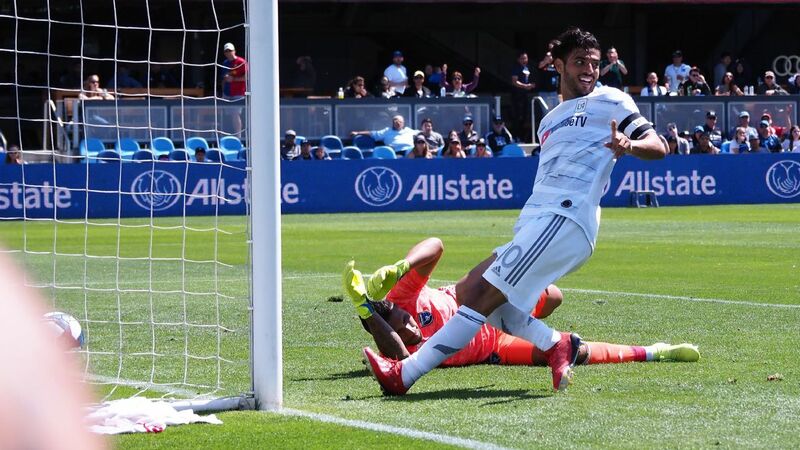 When it looked like LAFC would put the game on ice with a third -- Diomande had a slew of chances -- the Galaxy pounced on a couple of brain cramps from the LAFC defense and a shocking error from Andre Horta, and in the blink of an eye the three points were gone. To their credit, the Galaxy never stopped plugging away. 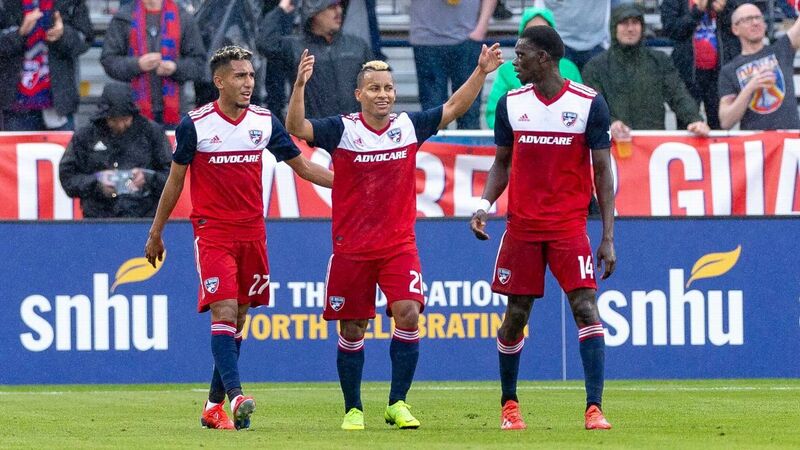 They were poor in the first half-hour, but once they increased the tempo, they gained much more of a foothold. The introduction of Chris Pontius for Ashley Cole shortly after the hour mark kicked the Galaxy into gear. 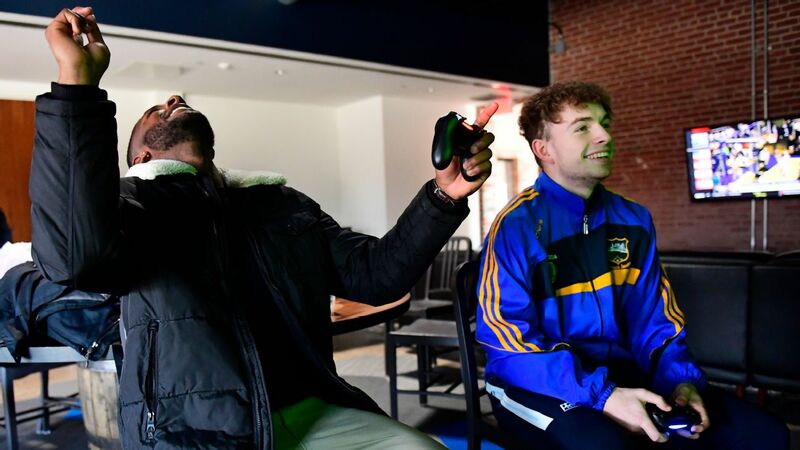 Alessandrini, who looked uncomfortable playing as the right wing-back to start, looked much better once he moved to the left and Pontius slotted onto the right side. 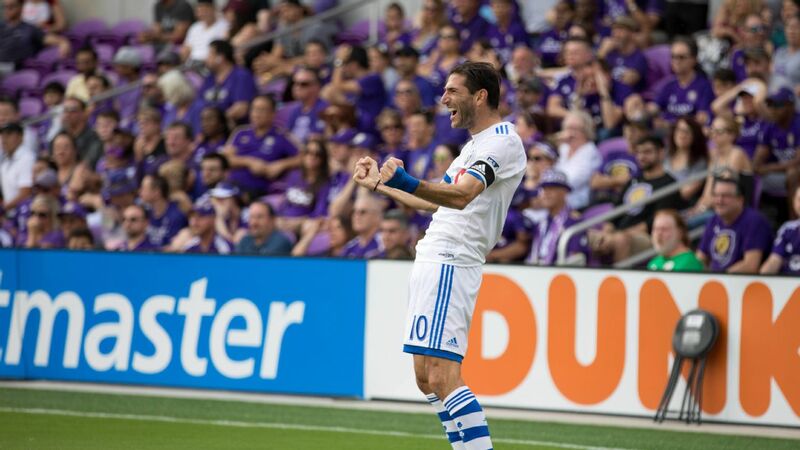 Alessandrini's goal was well-taken, while the gift from Horta that led to the Kamara equalizer was something that defied belief. But those things don't happen if the Galaxy had packed it in and let LAFC walk in a third goal. For the first time this season, coach Sigi Schmid started Ibrahimovic, Alessandrini and Giovani and Jonathan dos Santos together. 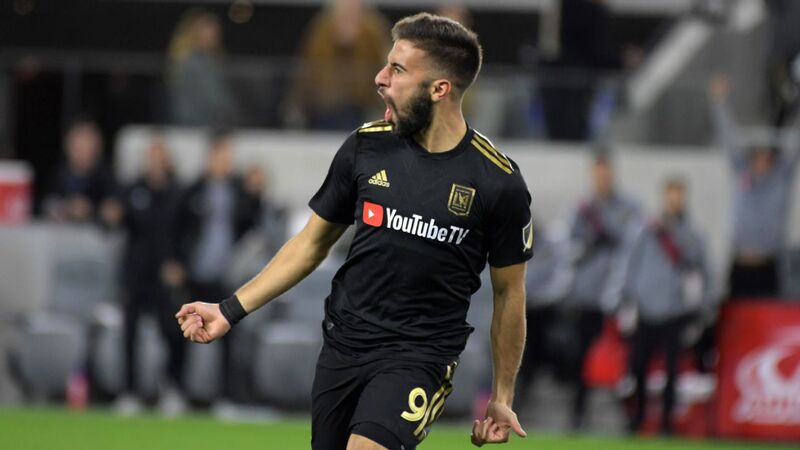 The quartet certainly can pack a punch in attack, but there is also a lot to risk in defense, and on Thursday the Galaxy's slow start made it easy for LAFC to pick off two goals in the first half. 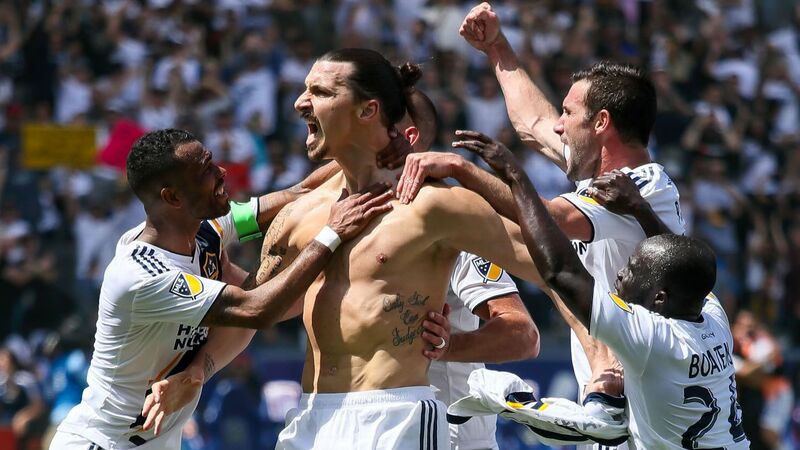 Zlatan Ibrahimovic looked out of it for much of the match before turning it on, as did the Galaxy, at the end. The big takeaway was the performance of Ibrahimovic. The Swedish striker was the hero of the first meeting between the teams but looked out of it for a large portion of the match on Thursday. But Ibrahimovic mirrored the rest of his team in that his best soccer came in the final 10 minutes. 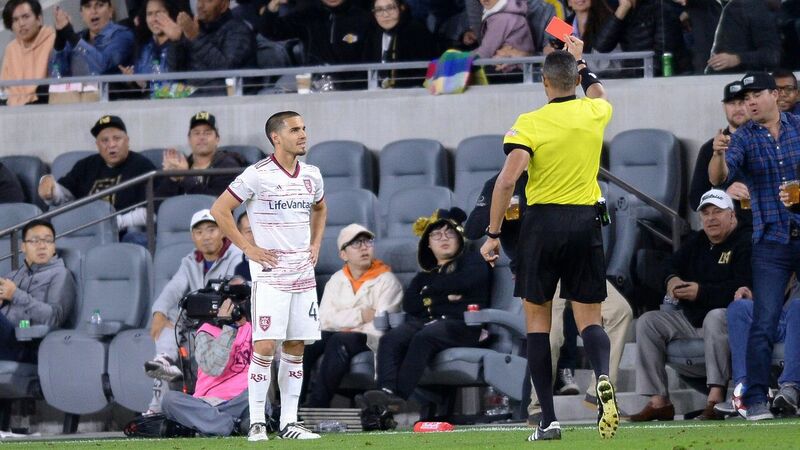 His pass to set up Alessandrini for the Galaxy's first goal was a key moment, and he came achingly close to collecting a second assist moments later if not for a massive save from LAFC goalkeeper Tyler Miller. 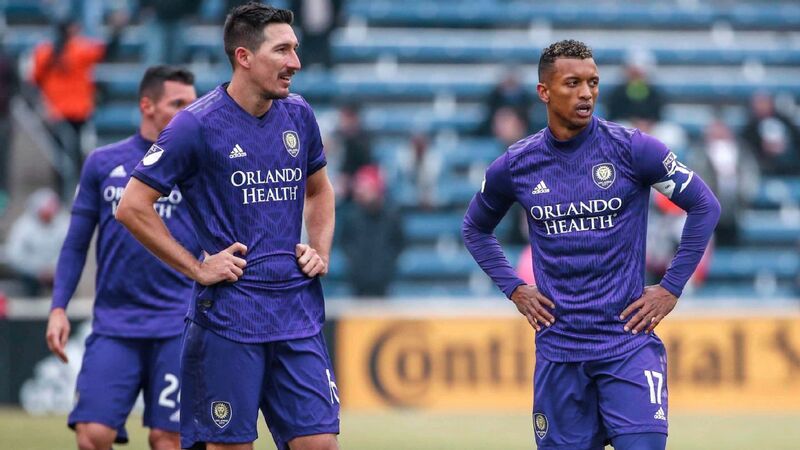 Starting that same foursome may be too much of a risk, but whichever 11 Schmid uses, he knows he has a squad that always believes it can get a result. 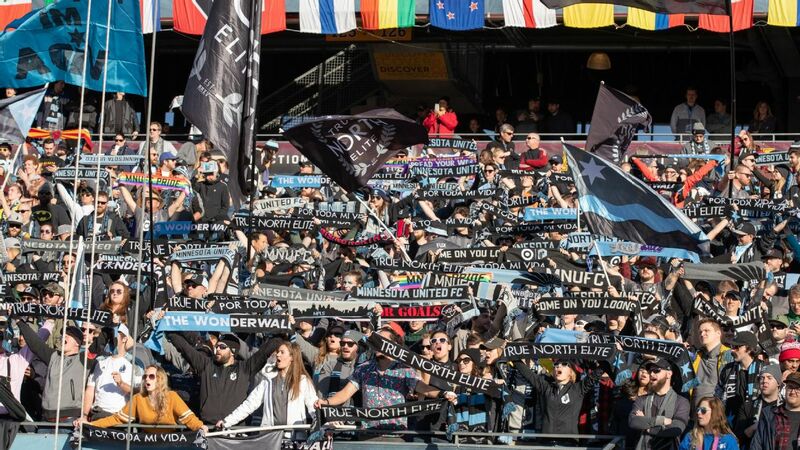 In about four weeks, these two teams will see each other for the last time in the regular season, and one can only imagine what that will be like mentally for LAFC. It wobbled for another week after the 4-3 loss but managed to reset itself. It will be interesting to see how it overcomes this draw, which surely must feel like a loss. 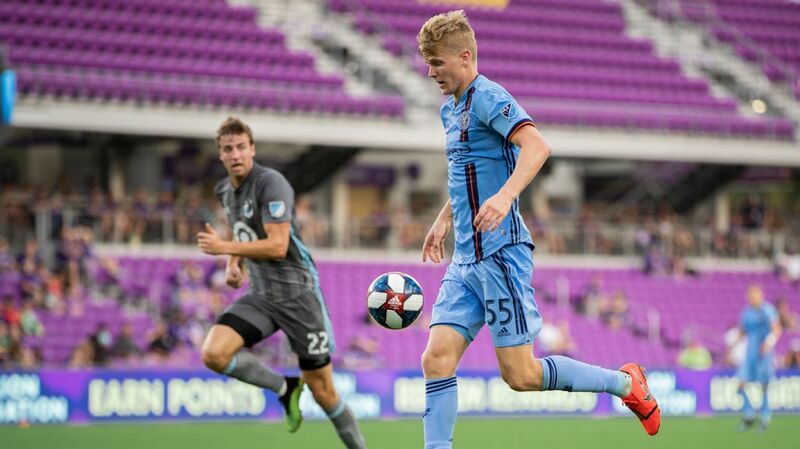 As for the Galaxy, there is still some tweaking to do as Schmid locks down his preferred 11 players in a 3-4-1-2, but the Galaxy will feel emboldened by this result. 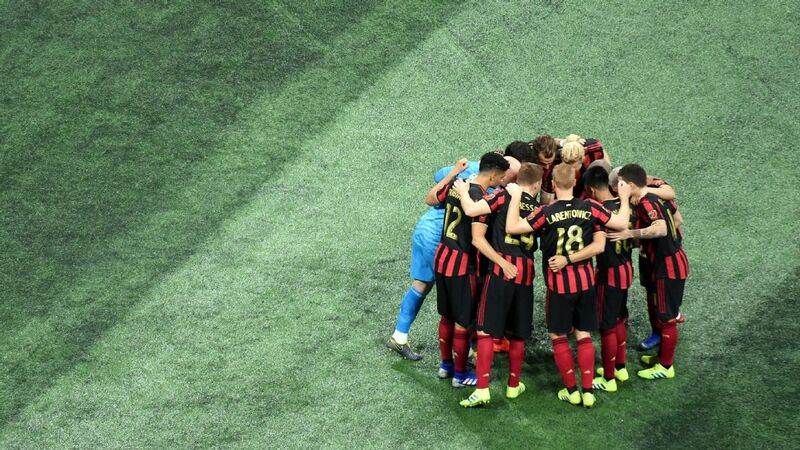 They look destined to reach the postseason and will be a team no one -- especially LAFC -- will want to play come playoff time in November.